Simon Taylor says it's not a case of if the cloud fails - it's a case of when. Clouds of the digital variety are great for increasing competitive edge and making cost savings. But they don’t offer much in the way of silver linings when your vital applications and emails suddenly stop working. Out of nowhere, chaos reigns all around - and while a few minutes of unplanned downtime may be okay, several hours or days will be catastrophic. Looking at the statistics it’s a case of when, not if, your cloud fails. Even big-name providers such as Amazon, Google and Microsoft aren’t immune. Think of all the havoc caused by the likes of Hurricane Sandy, with floods and power outages leading to IT systems knocked out not just locally but globally. You may believe you have everything covered. No doubt you have pinned your cloud providers down to tight service level agreements and they have impressed you with all their remote 24/7 systems monitoring they can do so that any IT problems can be quickly nipped in the bud. Fair enough, but there are still the fundamental risks associated with cloud computing to consider. Ultimately, your cloud resides in data centres which could be just down the road, on the other side of the country, in another country altogether. Some aren’t particularly secure or efficient and even the most diligent cloud provider can’t predict or prevent the consequences of data centre downtime caused by power outages, storm damage or security breaches. On top of this, the majority of cloud providers are often reliant on third party data centres they don’t actually own. But at the end of the day it will still be your company’s reputation and profitability on the line following a ‘cloud burst’. To mitigate these risks, you need to know what’s behind your cloud - not just who’s providing it: who owns the data centres, where they are located, which of your applications they are hosting. Are back-up systems and fail-safe measures in place? 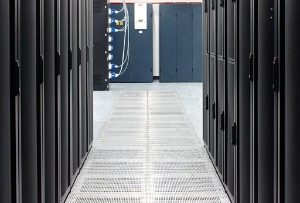 ‘Tier 3’ category data centres should be used as a minimum. To mitigate risks of downtime from natural disasters or terrorism, see they are located well away from flood plains, large urban areas, flight paths. Supply should come directly from the grid to ensure reliable delivery and reduce outages caused by spikes and surges.